On this day 70 years ago Nazi troops invaded the Soviet Union, unleashing the Great Patriotic War, the bloodiest in history. Thousands of candles have been lit to commemorate the 27 million Soviets who died fighting against Hitler's army. Thousands of people in Moscow alone held vigils at 4am, the time when the German army crossed the USSR border. In the afternoon Russia's political elite laid wreaths at the tomb of the unknown soldier, by the Kremlin wall. President Medvedev stressed the importance of keeping the memory of the war alive, making sure it does not fade with time. Among many, a ceremony was held in the city of Brest in Belarus, which bore the brunt of the first offensive on the Eastern front. The Nazis deployed an array of heavy artillery and weaponry on the Brest fortress, but failed to break the Soviet resistance. 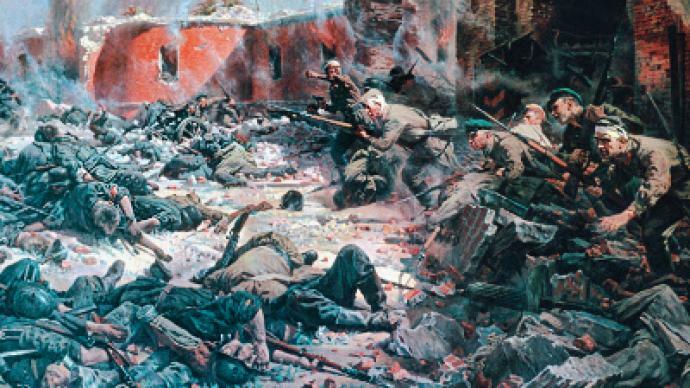 The Russian Empire’s biggest citadel of the 19th Century, the Brest fortress was attacked in the very first minutes of Wehrmacht’s Operation Barbarossa on June 22, 1941. Most of the 8,000 garrison and 300 officers’ families died in the first hours of artillery bombardment, but fierce resistance of the fortress lasted for over a month. By July 30, German troops had eliminated the organized defense of the fortress. However, locals said shooting was heard there for several months after and wounded German soldiers continued to be taken to hospital from the fortress area. The Brest fortress defense became a symbol of the Great Patriotic War, like the battle of Stalingrad and the defense of Leningrad. ­“Like any careless child I was up to something that evening. I wasn't afraid when they started shelling. I only remember that something exploded and my bed was thrown into another corner of the room,” recalls survivor Gennady Klypa. ­Not only was four-year-old Gennady unaware of what was happening, but his father, an experienced Red Army officer, was also caught flat-footed that night 70 years ago. Early in the morning, on June 22, 1941, Gennady Klypa was at home with his mother and father, who later defended the Brest fortress. The Wehrmacht expected the assault on the fortress to last just hours, but the battle with those who defended Brest citadel to the death lasted for weeks. Brest fortress became the site of the first major fighting between Soviet forces and the Wehrmacht. There was no warning when the Nazis invaded on the night of June 22, 1941. The bombardment took the unprepared garrison by surprise; Red Army soldiers were spread out and cut off from their ammunition. But this did not stop them from defending the fortress in fierce battles until the last survivor. Stories of their heroic resistance quickly reached different fronts. 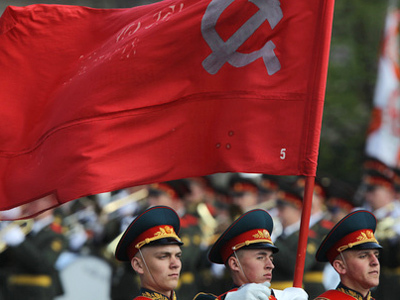 Soldier veteran Mikhail Vlasov received the news far away in the Republic of Komi in north-west Russia. “It was a deep grief, silent pain for our people trapped there. Everyone knew that the German army was much stronger. Every day we received reports that the enemy marched another 100 kilometers deeper into our homeland,” remembers Vlasov. At the gateway to the vast country the Nazis were in a hurry. They bombed the Brest fortress using howitzers and with devastating intensity and Nebelwerfer rocket launchers. Archive footage from the time shows the fortress silhouetted in heavy smoke. Hundreds were killed in their sleep during the first minutes of the attack, among them small children. Some survived the night, only to be buried alive later. After nine days of fierce fighting, Hitler’s forces captured most of the fortress. But their losses amounted to almost 9,000. There were reports that isolated defenders remained resisting the Nazis as late as August, when Hitler and Mussolini personally visited the site of the battle. It is claimed that a stone Hitler picked up from the remains of the fortress was found in his office after the war. “I'm often asked: what was the biggest award for you, the one most valued from that war?” veteran Mikhail Vlasov says. “The most precious award for me is that I stayed alive. Everyone was fighting like true heroes, but few survived”.